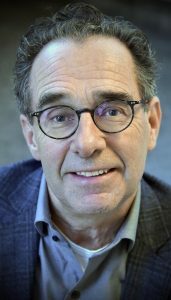 Following Physics and Astronomy studies in Amsterdam and Utrecht, Peter Barthel obtained his PhD at the University of Leiden in 1984, on a Thesis “Radio Structure in Quasars”. He held two successive postdoral fellowships at the Astronomy Department of the California Institute of Technology in Pasadena, USA, during 1984-1988, before starting his employment at the Kapteyn Institute of the University of Groningen, as Senior Fellow of the Royal Netherlands Academy of Arts and Sciences, KNAW, in 1988. Following promotion to Assistant Professor in 1993, and Associate Professor in 1996, he became Full Professor in March 2004, in the field of Astrophysics of Active Galaxies. Together with dozens of MSc students, PhD students and postdocs he has carried out many projects dealing with distant and nearby active galaxies and Active Galactic Nuclei, AGN, in small and large observational/interpretative studies exploiting cutting-edge instruments in space and on the ground. Considered an expert on AGN unification (his 1989 Astrophysical Journal publication is world-wide the second-best cited astronomy paper of that year), he and his colleagues have been studying AGN using the world’s largest radio arrays and mm-telescopes, using optical and infrared telescopes at the observatories of Mount Palomar, La Palma, ESO, and Mauna Kea, and using the Hubble, Chandra, IRAS, ISO, Spitzer and Herschel telescopes in space. Appointed as one of the three European Mission Scientists of ESA’s Herschel Space Observatory in 1997, he is currently exploiting his Herschel Guaranteed Time project, dealing with the host galaxies of distant quasars and radio galaxies. 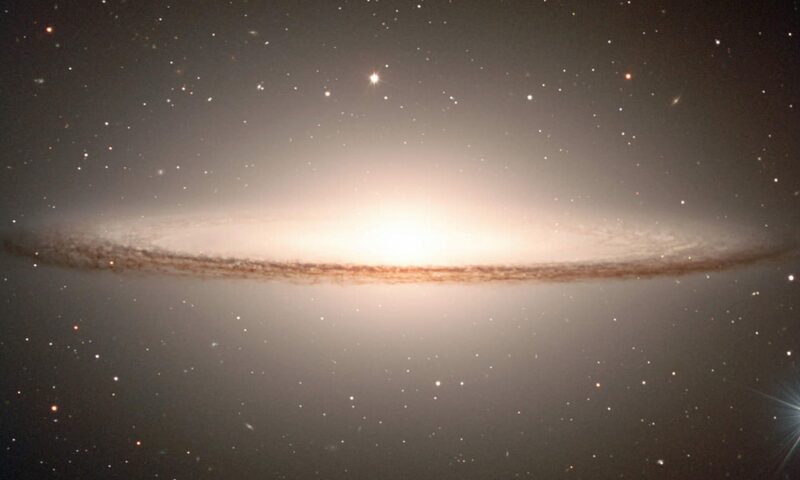 Barthel has authored and co-authored 125 refereed Journal papers, 20 invited reviews, 130 conference papers, dozens of miscellaneous, semi-popular, and newspaper articles, and several Astronomy Pictures-of-the Day, APODs. He was co-editor of four books, including one on the Star of Bethlehem. The NASA ADS lists about 5000 citations and his h-index is 39. Among his best-cited publications are two Nature articles from 1988 (147 citations) and 1993 (90), his 1996 Astronomy and Astrophysics Review paper (128) and his 1989 unification paper (912). As visiting scientist he has spent many weeks at renowned foreign astronomical institutes. He is member of Divisions B (Facilities, Technology and Data Science), C (Education, Outreach and Heritage), and J (Galaxies and Cosmology) of the International Astronomical Union, IAU. He served and continues to serve on many international telescope time allocation committees, often as panel chair, and is frequently member of Evaluation Committees of the national Dutch funding organization NWO. He also served on the national committee evaluating the secondary education physics curriculum, and succeeded in bringing elementary astronomy and astrophysics into that curriculum. That last fact underlines his keen interest in science communication and education. He is the national Dutch representative in the Education and Capacity Building Commission C1 of the IAU and in ESA’s Advisory Committee on Education, ACE. He led the Groningen team winning the 2008 Academische Jaarprijs on Science Communication, in a national project “Discover the Invisible Universe”. He was awarded the Dutch 2013 Willem de Graaff prize for his science communication efforts (and taught the moon phases to Saint Nicholas and two million TV viewers that year). For these efforts he received a royal distinction (Knight in the Order of the Dutch Lion) in 2015. 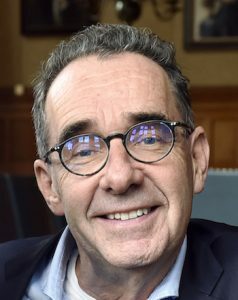 He was appointed first director of the Groningen Pre-university Academy in 2004 and led this Academy over the subsequent years into an established and well-supported (1 M€) entity. During 2006-2011 Barthel served as Deputy Director and Director of Education of the Kapteyn Institute. In his spare time he plays piano, collaborates with the professional Grieg piano duo in the project “Keys to the Stars”, and thinks about the relation between science and religion.